1. Section C. Columned Hall with portion 25 in foreground, from north west. 3. Section C. Northern end of Columned Hall, showing foundations of piers of Chamber 22 in distance. 4. 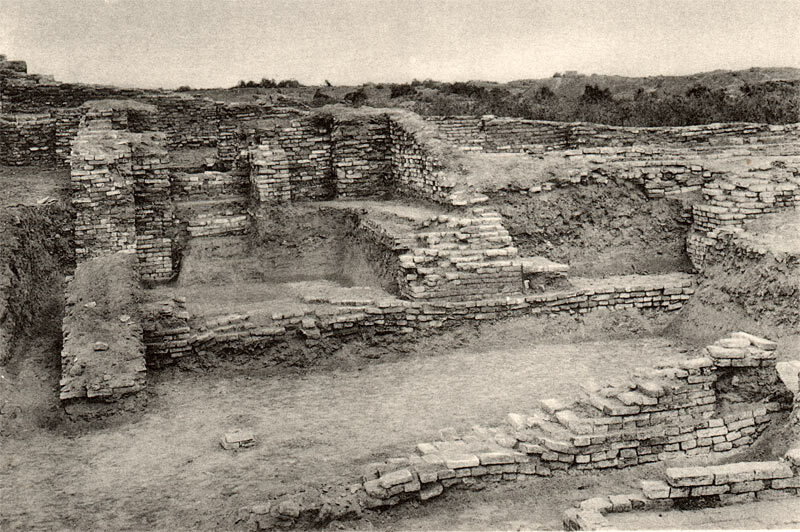 Rectangular piers in columned hall, showing linking walls of intermediate date. Portion 24 of Columned Hall, facing south-east. 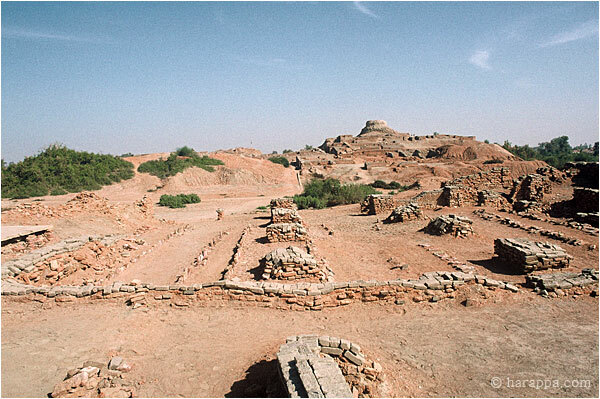 What was this enormous building in Mohenjo-daro used for? 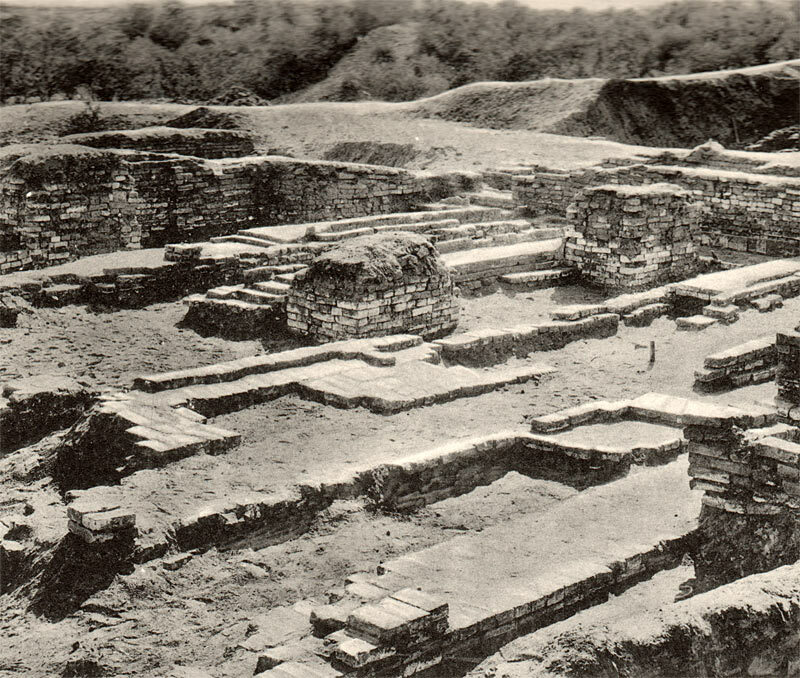 "The northern portion of Block 4 (Image 1)," in the L Area wrote the archaeologist John Marshall, "was originally a large hall of the Intermediate Period which appears to have been entirely covered ink the roof being supported by twenty rectangular piers averaging 5 feet by 3 ft. 4 in. in thickness. Owing to alterations which were made later, not all these piers can be now traced, but we have undoubted evidence that originally there were five piers in each row; two rows n the western side of the hall are intact. The two eastern rows are not so well preserved, but traces of the two piers still remain in the row on the extreme east, which are slightly thinner in the E._w. direction i.e. 3 fee thick instead of 3 ft. 6 in. The distances between the piers in the same row average 9 ft. 7 in., the variation never exceeding 3 inches. This remarkable accuracy was not observed in the spacing of the rows; for the three western aisles vary in width from 14 ft. 2 in. to 15 feet, where the two easternmost rows are 13 ft. 6 in. apart. This lay-out is, on the whole, very satisfactory, and argues great proficiency on the part of the masons. Gypsum as well as mud-mortar was used in erecting these columns, as elsewhere in the building. The bricks were laid out in alternate headers and stretchers, closers being used to break the perpends where required. The masonry, however, does not show the same skill as the lay-out, the joints between bricks varying considerably (4). 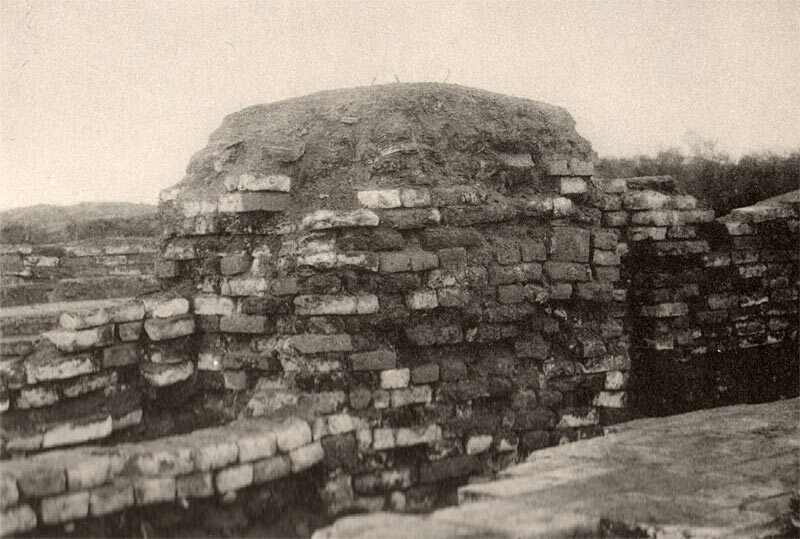 The sizes of the bricks used were: –11 by 2.25 by 5.5 inches; 11.25 by 2.25 by 5.5 inches; 10.74 by 2.5 by 5.4 inches. The bricks used in the later portions measure 10 by 2.75 by 5 inches and 11 by 2.5 by 5.5 inches. "Each row of piers rests on a footing, or continuous foundation wall, running N._S. which averages 1 ft. 2 in. high, and projects 6 inches beyond the eastern and western faces of the piers (3). The footing has only been examined beneath the northernmost piers, for to lay the foundations bare as far as the southern end of the hall would necessitate destroying the pavements between the piers, to be described later. "The foundation walls are very roughly built, each course projecting slightly beyond the course below; and the courses themselves are irregular and undulate considerably, owing to the fact that the ground was not properly leveled before they were laid. Their number also varies with the inequalities of the ground. "The best preserved piers are those on the western side of the hall. Owing to weathering, the remains of the piers become shorter and shorter, the farther they are to the east, until the tops of two surviving columns in the easternmost row have almost disappeared. What do you think this hall may have been used for? 2. The pillared hall was approximately 27.5 meters square (90 feet square) with twenty square brick pillars arranged in four rows, only two of which are still preserved. Strips of paved floors sloped from south to north and each strip of flooring had row of bricks set on edge along both sides. The cross wall in the foreground was built later and divided the hall into smaller rooms. 3. Rectangular piers in columned hall, showing linking walls of intermediate date. Portion 24 of Columned Hall, facing south-east. 4. Section C. Northern end of Columned Hall, showing foundations of piers of Chamber 22 in distance.